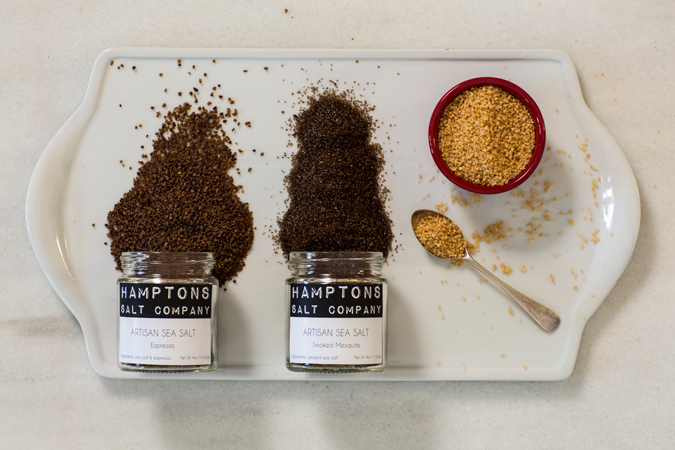 A 14-ounce jar of Cooking Salt, a 4-ounce jar of Finishing Salt and a 4-ounce jar of Garlic Salt — this is the ultimate set of all natural, unrefined artisan sea salts for daily use in the kitchen. 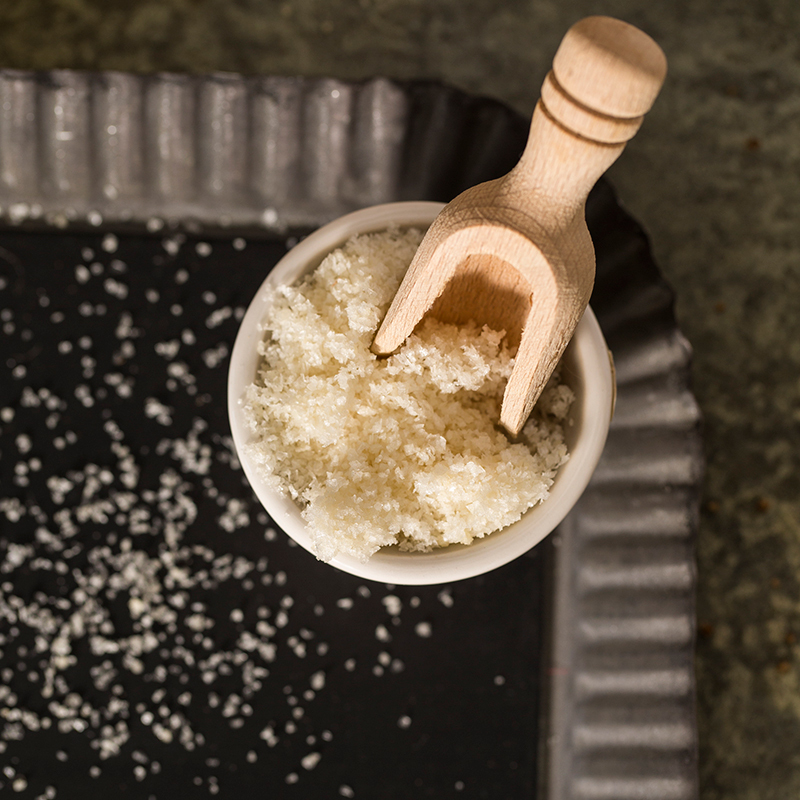 The Cooking Salt is perfect for any type of seasoning or baking: an all-natural salt that contains a special blend of Atlantic and Pacific Ocean flakes mixed with some amazing French salt crystals. The Finishing Salt, a blend of Atlantic, North Sea and Mediterranean salts, is elegant on all prepared foods, providing ultimate coverage and crunch. As for the Garlic Salt? It’s a workhorse, a blend of all-natural sea salt with real roasted garlic, a fragrant, chunky gourmet garlic salt that is great on vegetables, pasta, meats, salads, and even popcorn. 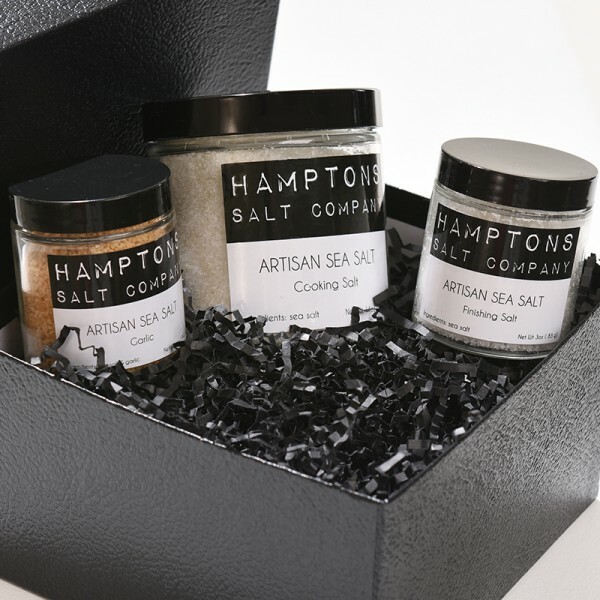 Hamptons Salt products are not refined, have naturally occurring minerals, and contain no potentially unhealthy anti-caking agents found in most salts. Like the company says, every home should have this set in the pantry! Hamptons Salt Company is the preeminent provider of all-natural sea salt. Our salt merchants scour the world to offer you the best selection of raw salts, flavored salts, and smoked salts. All our salts are unrefined and have no unhealthy additives. Each salt has a unique taste profile based on the sea from which it originated, and the natural minerals are not stripped out like refined salt. Our selection of flavored and smoked salts are all natural, provide a burst of flavor with just a pinch, and can add some zip to any meal, snack, or drink! Please visit Instagram, Facebook and Twitter for inspiration, suggestions, and images on how to use the salts.